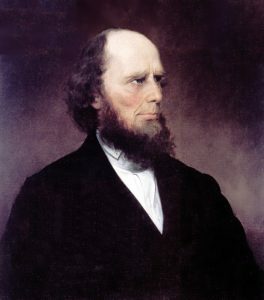 No single man is more responsible for the distortion of Christian truth in our age than Charles Grandison Finney. His “new measures” created a framework for modern decision theology and Evangelical Revivalism. In this excellent article, Dr. Mike Horton explains how Charles Finney distorted the important doctrine of salvation. That is because Finney’s moralistic impulse envisioned a church that was in large measure an agency of personal and social reform rather than the institution in which the means of grace, Word and Sacrament, are made available to believers who then take the Gospel to the world. In the nineteenth century, the evangelical movement became increasingly identified with political causes-from abolition of slavery and child labor legislation to women’s rights and the prohibition of alcohol. In a desperate effort at regaining this institutional power and the glory of “Christian America” (a vision that is always powerful in the imagination, but, after the disintegration of Puritan New England, elusive), the turn-of-the century Protestant establishment launched moral campaigns to “Americanize” immigrants, enforce moral instruction and “character education.” Evangelists pitched their American gospel in terms of its practical usefulness to the individual and the nation.